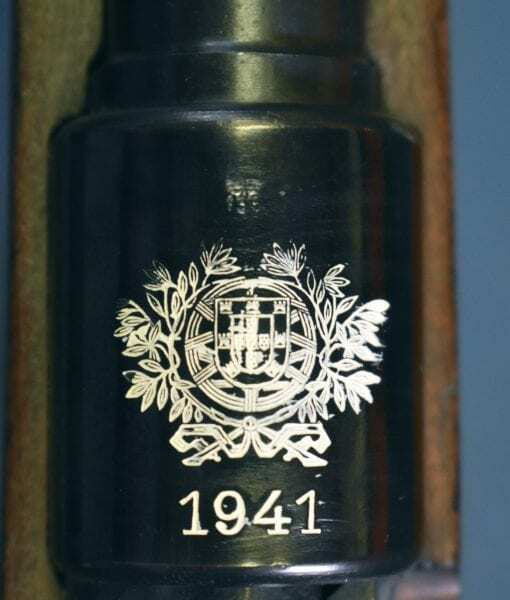 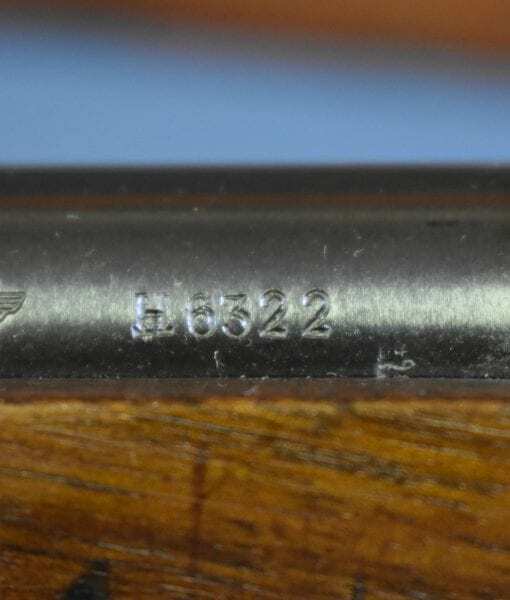 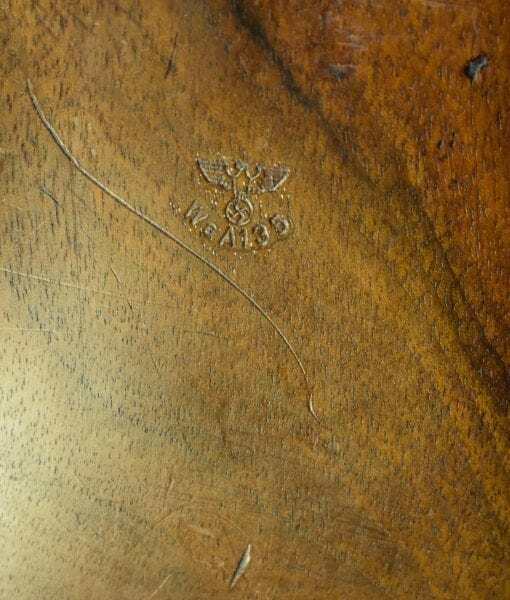 SOLD MAUSER K98k RIFLE……1941 PORTUGUESE CONTRACT….ALL MATCHING INCLUDING BAYONET……VERY SHARP! 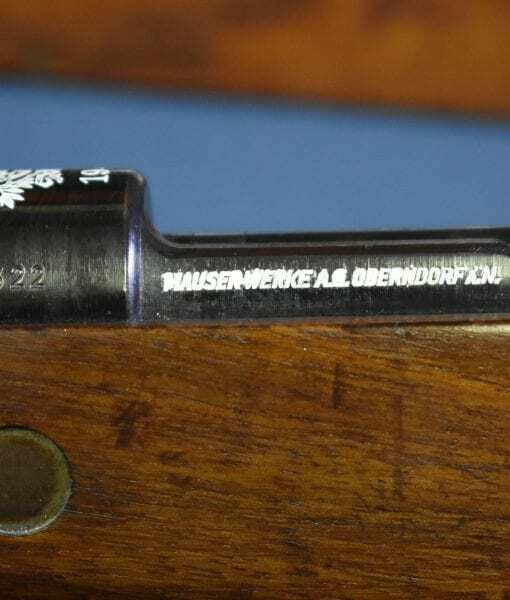 In excellent all matching condition, to even include the factory matching bayonet, we have an extremely desirable Mauser Oberndorf made late 1941 Portuguese Contract K98k Service Rifle. 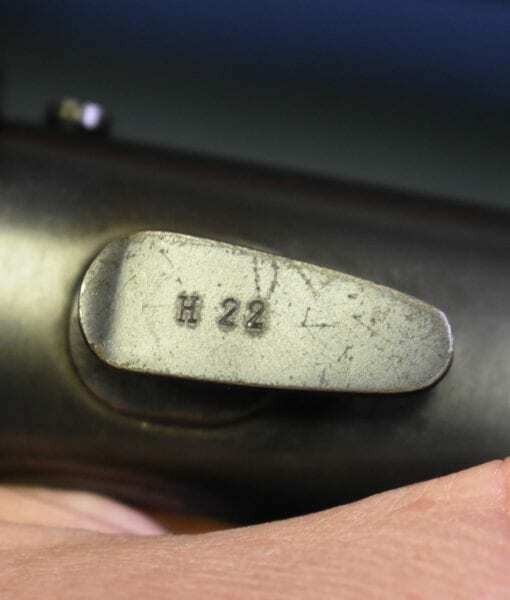 This rifle is not import marked. 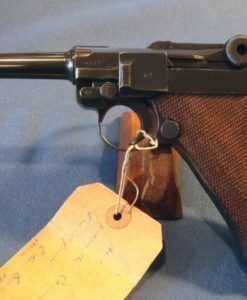 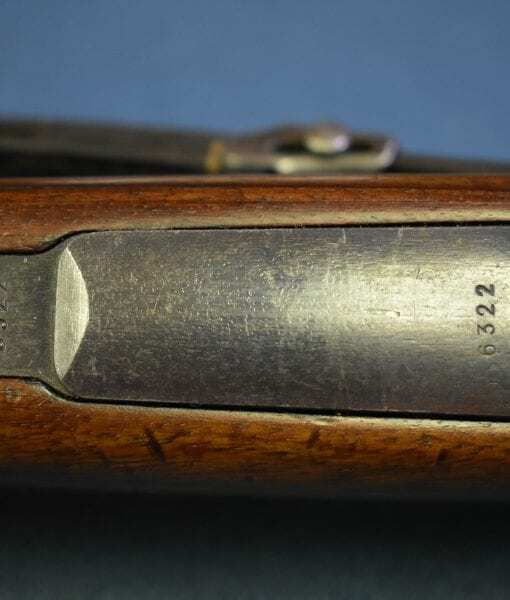 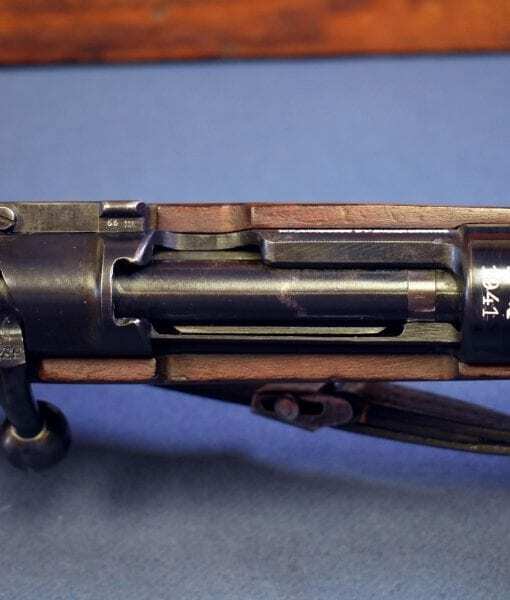 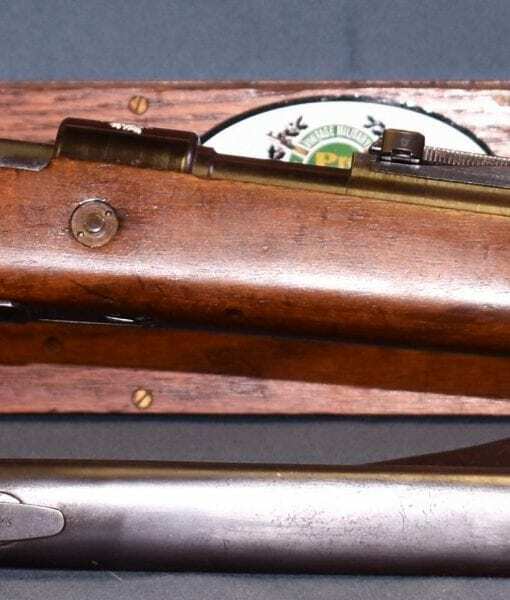 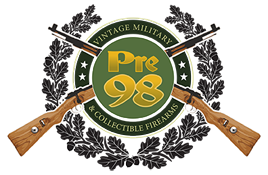 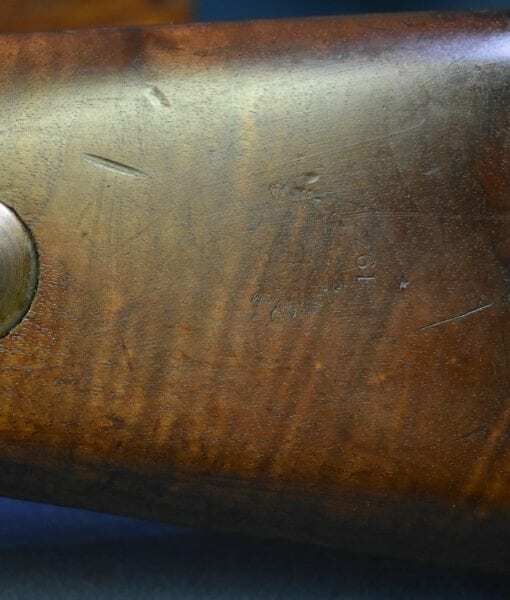 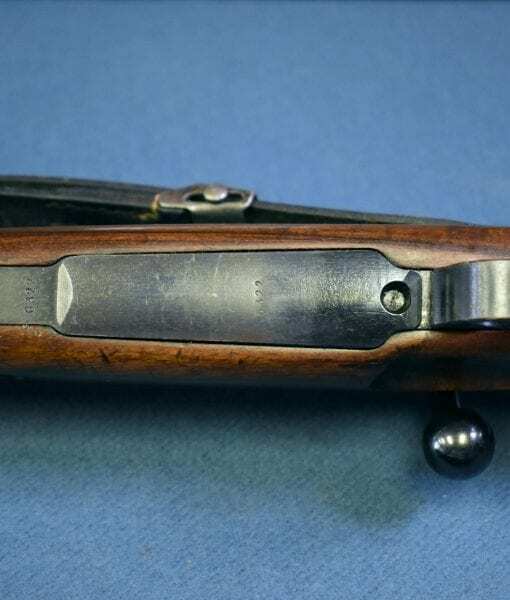 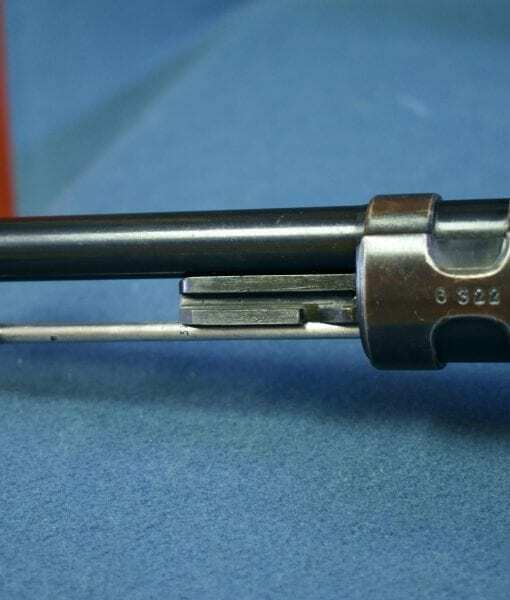 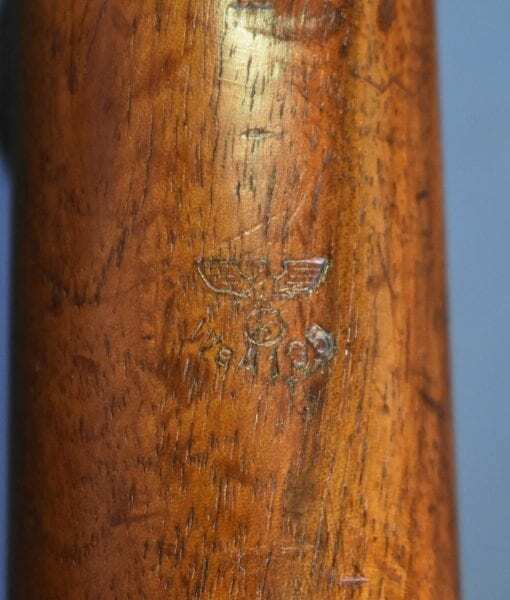 We are all familiar with the spectacular new unissued Portuguese Mauser Rifles with matching bayonets which were pulled tight out of the packing crates. 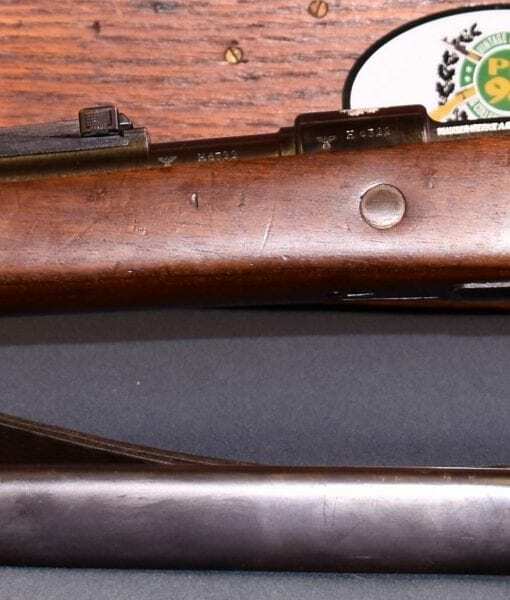 This rifle has seen some slight use but still retains the original bayonet. 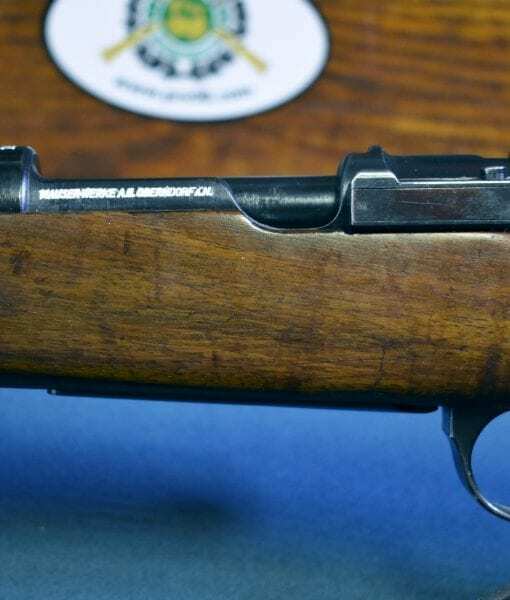 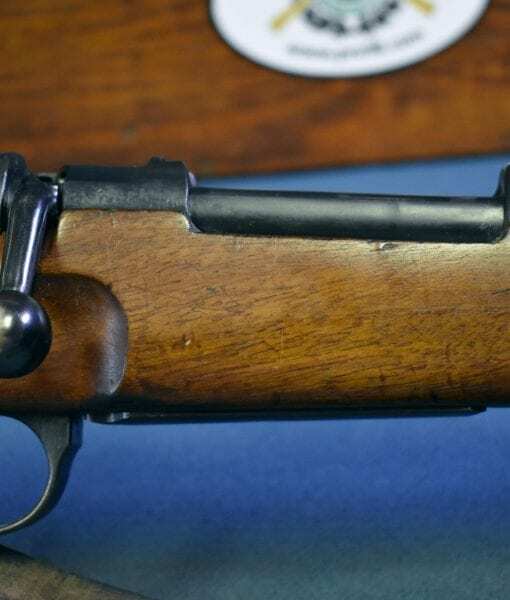 The rifle was produced late in the contract run and may never have been exported. 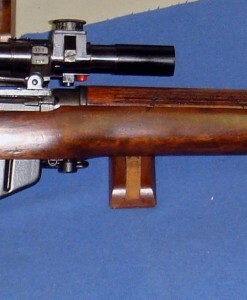 A significant portion of these rifles were diverted directly to the Heer (Army) due to a shortage of small arms that occurred in 1941. 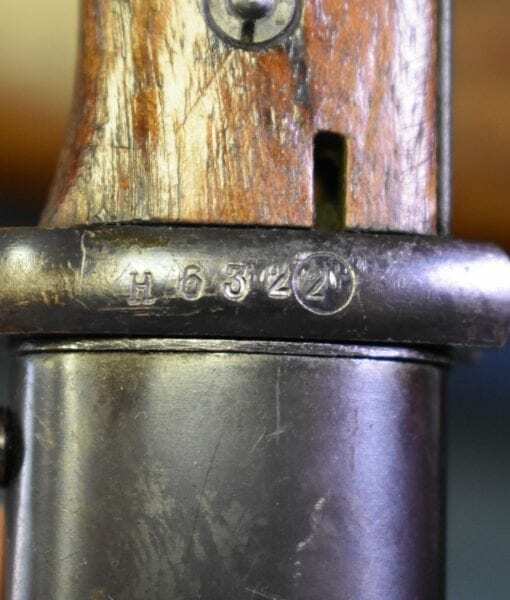 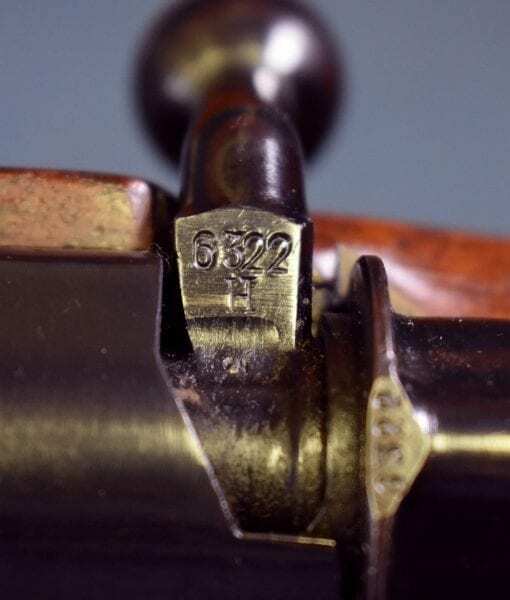 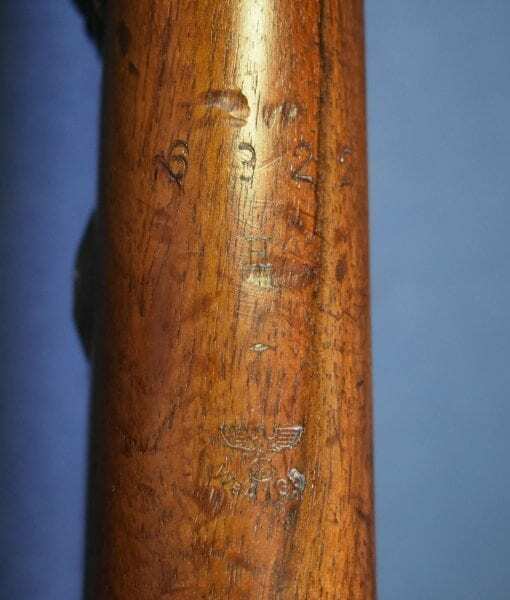 Indeed a significant number of these rifles resurfaced in the post war captured stocks of 98k’s that were held by Russia and Norway among others. 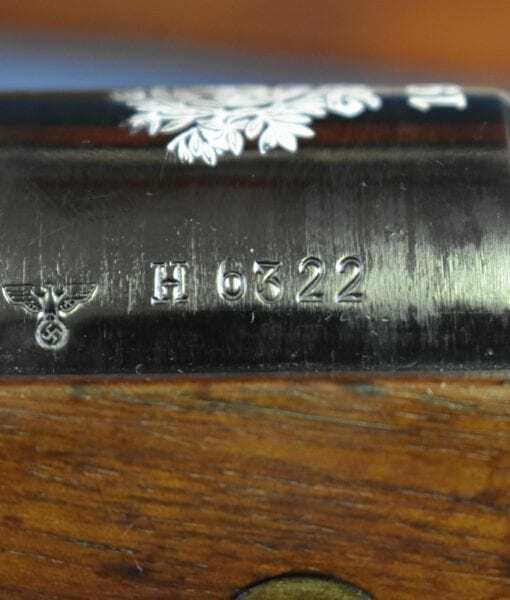 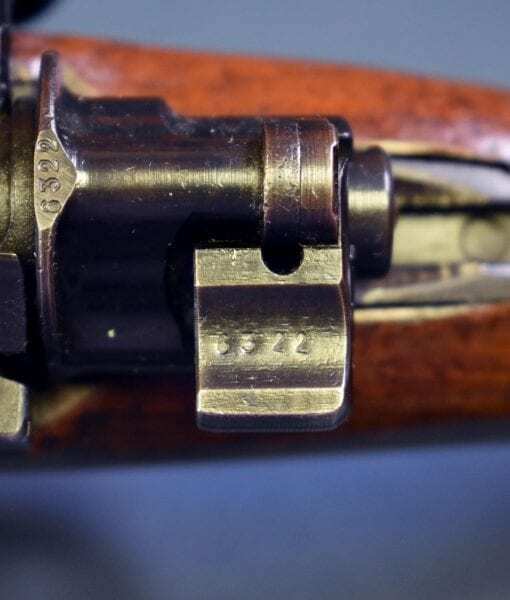 These rifles are standard production K98k’s with all the Nazi proofs plus some additional Commercial Mauser markings and the Portuguese Crest. 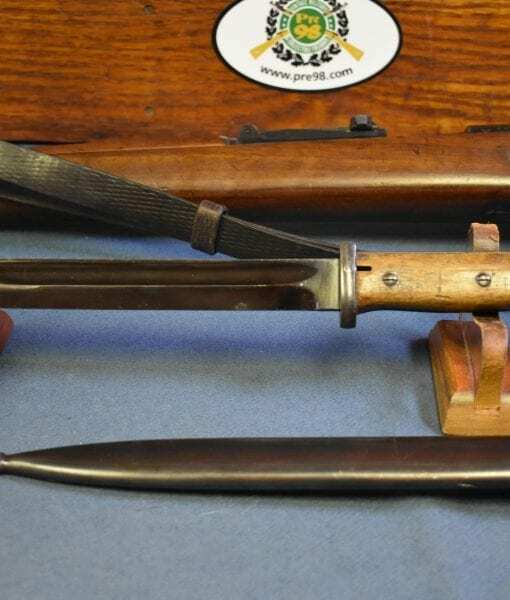 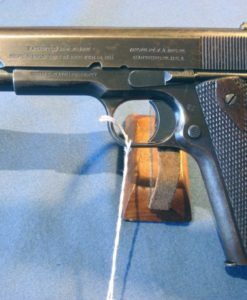 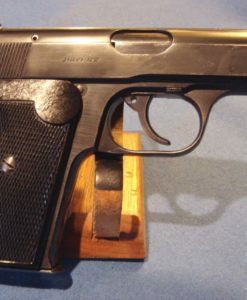 This example has seen little use and as it still has the bayonet is a top example of this highly sought after variant.